Alright guys. Let’s jump into it. 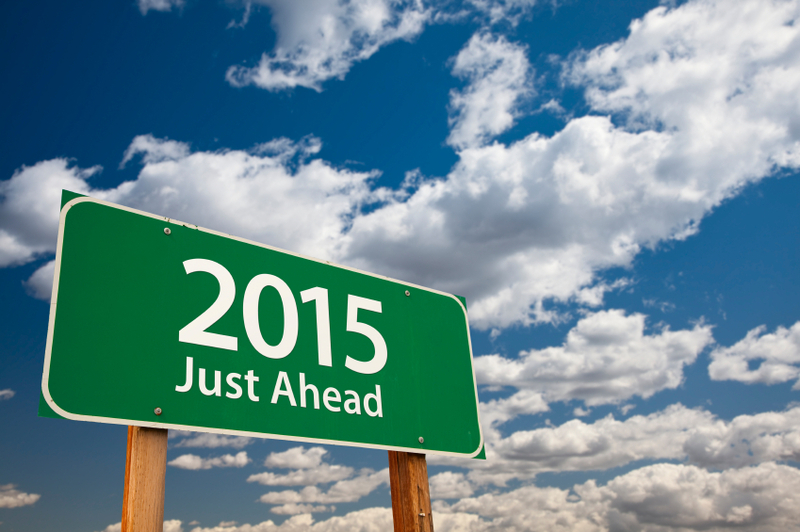 2015 is shaping to be a year rich in possibilities (and profit!). As I keep saying, if you put in the work, there’s money to be made in any market. But before the year gets too much further out of the gate, let me put on my dusty ol’ economists hat, and take a quick look at the bigger picture. Overall, that picture remains broadly supportive of property, but there’s quite a few devils in the detail. If you read a lot of the commentary (which I try to avoid as much as possible) there was a real change in tone around the end of year. And that was because the jobs data came in so much better than people were expecting. In the three months to December, we created an extra 100,000 jobs – the best result in over a decade. And that was enough to push the unemployment rate back down to 6.1%. The unemployment rate has pretty much been hovering around 6% for over a year now. The slow run up we saw in 2013 never materialised into the 7+%’s that people were worried about. And so all in all, the Australian economy is, broadly speaking, doing better than we thought. And an unemployment rate around 6% is pretty good in the scheme of things. And so this should boost consumer confidence and wages, which in turn should support property prices in 2015 – broadly speaking. At the same time, interest rates remain at historic lows. Some economists are still talking about the possibility of rate hikes this year, but no one believes them. In fact the markets are now pricing in a rate cut by May with 100% probability! My central scenario is still that we’ll see one, maybe two rate cuts this year, but I’m not so sure about the May timetable. On the one hand there’s still international pressure to lower rates. Our rates may be at record lows, but their high by international standards. Their effectively zero in the G3 – the US, Europe and Japan. In the UK, they’re at 0.5%. This kind of differential creates a few unpleasant forces – particularly on the exchange rate. And so there’s pressure there to lower rates further. On the other hand though, oil prices have fallen to shocking lows (have you bought petrol lately? ), and all in a very short time. Oil is fundamental to the economy, so a major change like this will have huge repercussions throughout the economy. No one really knows how it’s going to come out in the wash.
What’s more, it should, theoretically, be a big boost for consumers and household budgets. It’s probably the equivalent of one or two rate cuts just in itself. So the RBA will be watching it all very carefully. Interest rate policy is always about walking a fine line. It wouldn’t surprise me if they wanted to hold out til the second half of the year, just to be sure. The RBA will also be a lot happier about where the exchange rate is at right now. It’s just over 80 cents, with every chance it will stabilise somewhere in the 70s. That’ll be a big help to our exporters. It’s also a shot in the arm for the economy, and therefore gives the RBA a lot more room to move. Anyway, however it plays out, I just can’t see a scenario where rates start moving upwards this year. But perhaps the biggest uncertainties for the Australian economy are completely out of our control. The biggest threats to our outlook are all from foreign shores. 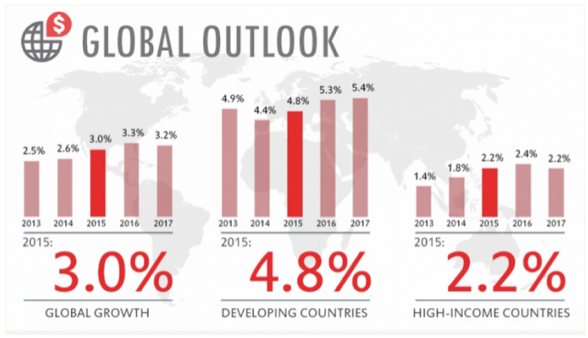 The global economy dodged all the bullets that were headed its way last year, but actually starts the year looking more fragile than it did a year ago. The world bank have downgraded their forecasts for global growth from 3.7% to 3.0%. That’s a significant downgrade. And the basic story is that although the US is returning to form (at last!) it won’t be enough to offset a worsening outlook for Europe, and troubles in emerging markets like Brazil and Russia. Russian sanctions are still a very tense issue. But in the face of these uncertainties, the global money taps remain on full-bore. The end of Quantitative Easing in the US continues to be pushed further and further back, while QE in Japan is getting more and more aggressive, and it now looks like Europe is about to join the QE party. QE, remember, is just a fancy word for printing money. So 2015 looks to be another year of hyper-liquidity. Money, money everywhere. And I’ll be honest with you. I’ve got no idea how that’s going to play out. Nobody does. It’s frontier economics. We’re in the wild west. But it seems to me that, at some point, if there’s more and more money floating around, then the things that are actually in limited supply will have to be worth more. And what’s the one thing we know is in limited supply? Land. And so the more money they print, the more interest there’ll be in property markets that are performing well – like Australia’s. Foreign buyers are going to be key players again this year, you can count on that. Anyway, that’s the big, big picture. The take-home is that there are no threats to the property outlook on the horizon at this stage, and big-picture factors are still working in property’s favour. I’ll let you know if anything changes. I’d like to know what your property goals are this year. Are you buying property? Where are you buying it? What type of property are you buying? …or are you selling out? Curious to know.